Derek earned his Bachelor’s Degree in Civil Engineering from Colorado State University in May 1995. He enlisted in the US Army in February 1996 and retired with 20 years of active service in March 2016. During his service with the Army, Derek worked as a Senior Technical Engineer in a number of positions. His duties took him abroad to Kosovo, Iraq, and Guam, as well as domestic stations that included North Carolina, Missouri, Colorado, Hawaii, and Washington State. 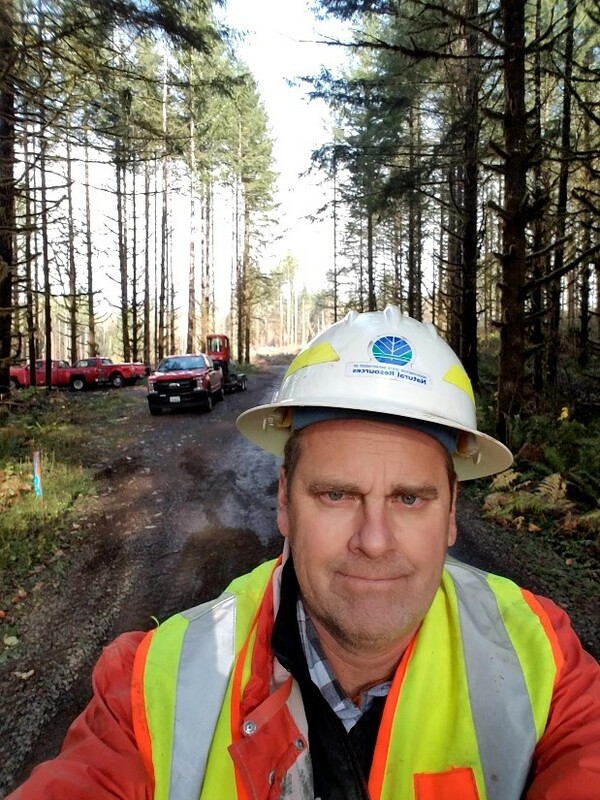 His His post-service career he has been a Project Engineer / Manager for Hatton Godat Pantier in Olympia, a construction manager with Kitsap County Public Works, and currently in a Civil Engineer with City of Yelm Community Developement. Derek has been a member of both ASCE and the Society of American Military Engineers for a long time. He previously served as a Board Director for ASCE Tacoma-Olympia Section and is currently serving a second term and President. He currently resides in Lacey with his fiance Carolyn and has two sons, Alex and Hunter and her daughters Julia and Tera. Bernie grew up in Honolulu before settling in the Olympia area in 1998. 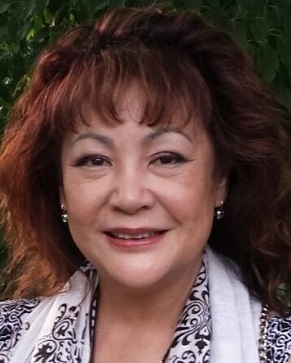 She earned her Bachelor’s Degree in Civil Engineering from the University of Hawaii at Manoa and her Master’s Degree in Engineering Management from Saint Martin’s University. She is also a certified Project Management Professional. Before settling in Olympia, Bernie was a Project Engineer at Dillingham Construction, a Construction Management Engineer for the Department of the Navy, Officer In-Charge of Construction, and a Facilities Manager for the State of Hawaii at Leeward Community College. Since 1998 she has been with Thurston County Public Works and is currently a Traffic Engineer working with Traffic Calming, ITS equipment, and associated ordinances and policies. In 2017 she was a volunteer lecturer for the Project Management Institute on the topics of Team-Building and Strategic Change. Bernie is a current member of ASCE, a former civilian member of SAME, and a past Vice-President of the Society of Women Engineers. She is also a current member of the National Association of County Engineers Legislative Committee. During her down-time, Bernie travels, takes kick-boxing lessons, and is a volunteer music DJ at KAOS Radio 89.3 FM Olympia. Frank has his metaphorical roots in Nebraska. He grew up in Nebraska and spent time in both Kansas and Oklahoma before settling in the Tacoma area in 2011. 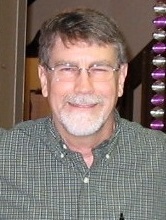 Frank earned his Bachelor’s Degree in Civil Engineering from the University of Nebraska. 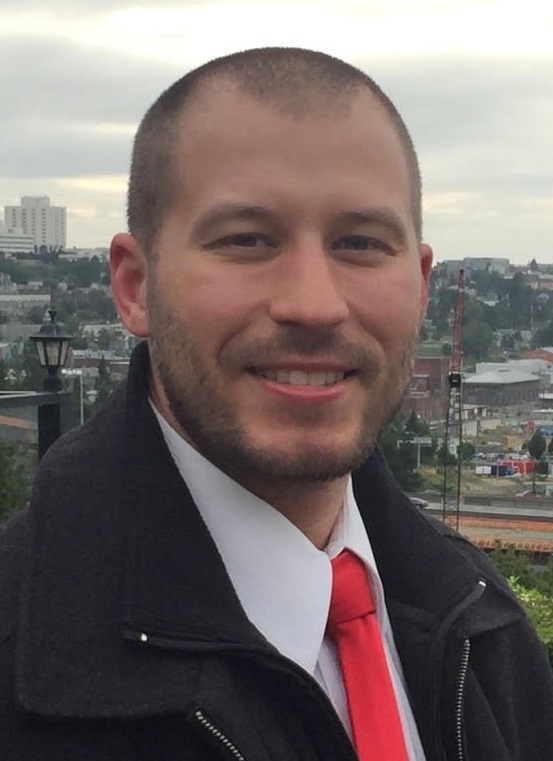 He is a development review engineer for the City of Tacoma’s Site and Building Division. Frank has also worked for several private consulting firms in the past. 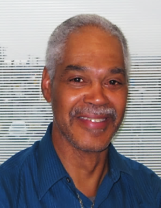 His technical specialties are in the areas of hydrology, road design, and wet utility engineering. Frank has been a member of ASCE since his days of university training. He is passionate about community and helping young people succeed. In his free time, he enjoys the outdoors, being active at the gym, and fixing houses. He claims to be an excellent chef with a taste for craft beer and fine coffee. Grace has a Bachelor’s Degree in Civil Engineering and Business from the University of Alaska Fairbanks. She got involved with ASCE at university where she helped build two ice arches (a unique project of the University of Alaska’s ASCE student chapter) and participated in the steel bridge competition. During school, she spent summers working on project sites in the Aleutian Islands and the North Slope, served as president of the ITE student chapter and on the board of the SWE student chapter, and won the Dean’s Choice Award for undergraduate research. After graduation, Grace went to work for the State of Alaska for three years on a variety of transportation projects. 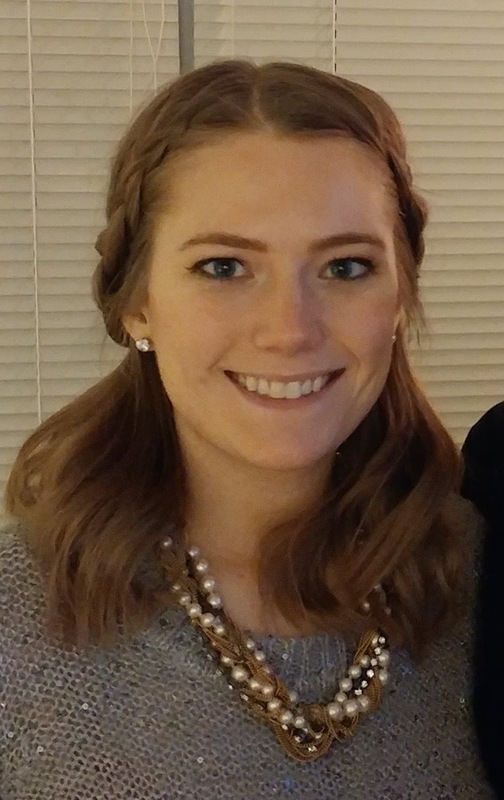 Grace moved to Washington last year to work as a Transportation Engineer for Parametrix, and passed the PE exam in Salem in October, though she hasn’t applied for the PE yet. Her hobbies include using a laser cutter, CNC end mill or plasma cutter for her art projects, traveling, and programming on virtual reality/augmented reality projects. Jessie is currently a staff engineer at APA – The Engineered Wood Association. She has a distinguished academic career, holding both a Master’s and Ph.D. degree from the University of British Columbia, Vancouver, Canada. 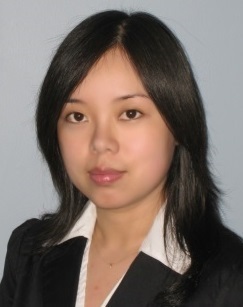 She has published original research in high-quality, peer-reviewed research journals as part of her graduate work. Her undergraduate training included some work in accounting, which makes her a great fit for being the Section’s treasurer. 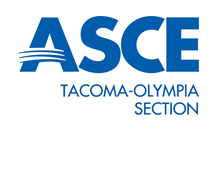 Jessie has been a member of ASCE since 2003 and is pleased to serve as Tacoma-Olympia’s treasurer because it allows her to give back to the organization that has, in her words, benefited her in so many ways. Chris holds a Bachelor’s of Science Degree in Architectural Engineering with a structural concentration from the California State Polytechnic University at San Luis Obispo, CA. He has over 25 years of experience with various private firms and public organizations. Chris worked as an Associate Engineer at the City of Edgewood from 2007 until 2011, when he began working for himself as an independent contractor. Chris has served the Tacoma-Olympia Section of the American Society of Civil Engineers in various capacities over the year and is pleased to serve again as one of our section’s directors. His hobbies include gardening, home improvement projects, and vintage cars and motorcycles. Tom currently works at the Department of Natural Resources in Olympia as a Design Engineer in the Forest Roads Program. He received Bachelor of Science degrees in Civil Engineering and Forest Engineering at Oregon State University. 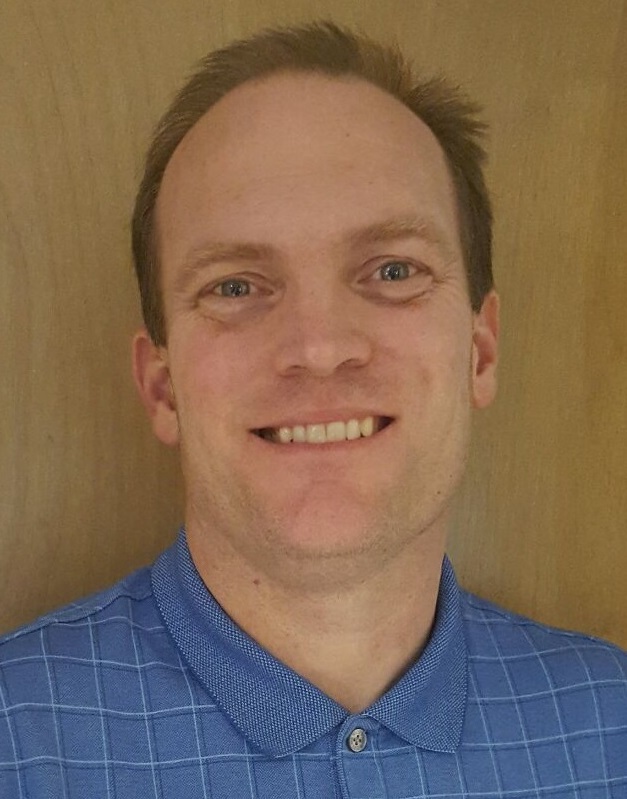 After working as a soils engineer and finding his passion in soil mechanics and materials, Tom went back to Oregon State University where he obtained a Master of Science Degree in Geotechnical/Civil Engineering. Tom completed civil and environmental projects acting in roles as the project designer and project manager. He is a member of the American Society of Civil Engineers, Engineers without Borders, American Public Works Association, and the Construction Managers Association of America. His areas of interest include sustainable design, water resources, slope stability, and materials. Tom is an active sailor, canoeist, runner, bicyclist, and outdoorsman. In 2004, he cycled across the US in the achievement of a lifelong dream. He is an eternal optimist with a strong commitment to environmental education and sustainable practices. Frank just turned 30 and brings with him a unique perspective on being a young engineer, combining aspects of both Generation X and the Milllenial Generation. Frank believes that he can bridge the gap between digital natives and those who came before. Frank’s focus as the YMG chair will be to convey the value of face-to-face interaction to other young engineers and student members. Amy grew up and currently lives in Tacoma. She went to Tacoma Community College before transferring to Northern Arizona University and obtaining her Bachelor’s Degree in Environmental Engineering. 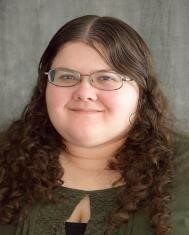 She was an active member and website coordinator for Northern Arizona’s Student Chapter of ASCE. After college, Amy was hired by the Environmental Services Department of Tacoma where she works on surface water and wastewater collection systems and solid waste facility projects. She earned her Professional Engineering License in October 2017. In Amy’s free time, she enjoys traveling, working out, cooking, and almost any outside activity during the summer. Michael grew up in Memphis, Tennessee and lived in Chicago before moving to the Pacific Northwest. He has lived in the Tacoma area for over 30 years. Michael recently retired from service as a project manager for the City of Tacoma’s Environmental Services Department after over 23 years. Michael received his Bachelor’s Degree in Civil Engineering from Christian Brothers University in Memphis, Tennessee and his Master’s Degree in Engineering Management from our very own St. Martin’s University. Michael has been a Member of ASCE for so many years that he has, in his own words, “lost count.” Michael has served the Tacoma-Olympia Section in many capacities over the years, including multiple terms in multiple offices. Michael has a passion for helping young engineers succeed and grow in to professionals and competent leaders for the next generation. Michael enjoys smooth jazz during long car rides between Tacoma and Olympia for ASCE functions. In his free time, Michael teaches martial arts, enjoys helping with his church, and spends sunny afternoons tending to his extensive rose garden. Michael is an expert in deer-resistant gardening tactics.